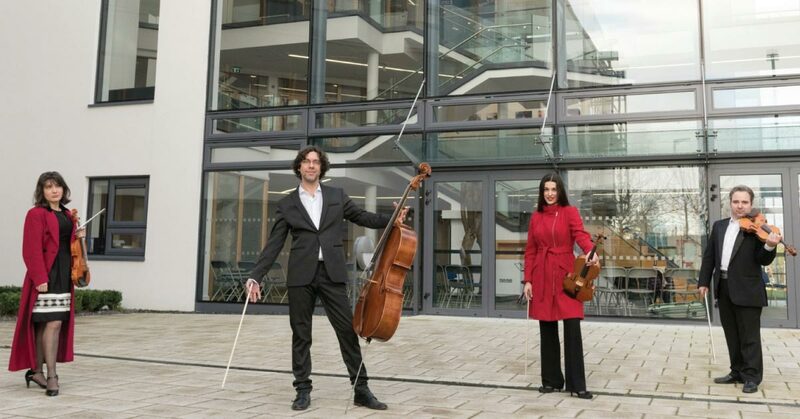 The Galway Music Residency’s ambitious Lunchtime with ConTempo project entitled From Europe with Love continues on Tuesday 5th February at 1:10pm in St Nicholas’ Collegiate Church. This three-year initiative celebrates the shared musical heritage of the European Union by exploring the string quartet repertoire from each of its 27 member countries. Speakers from the featured nations, embassies and local communities will introduce each concert providing unique personal perspectives on the music to be performed. 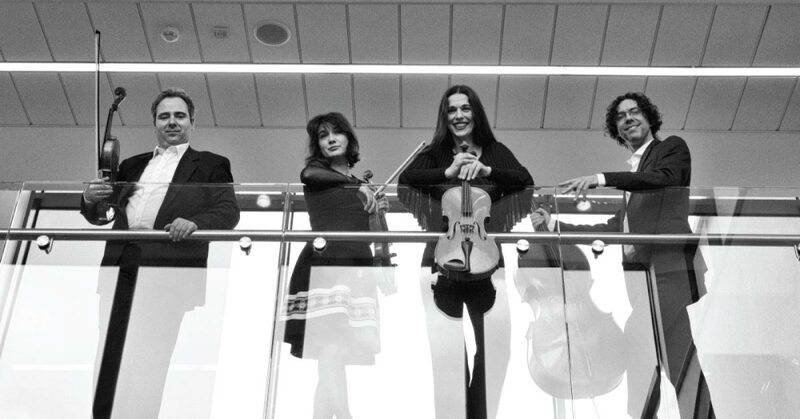 During this fifth edition of From Europe with Love, audiences will be taking on a trip Italy where the wonderful ConTempo Quartet will perform a repertoire oozing with Italian style and charisma. Beginning with Alessandro Scarlatti, ConTempo will treat the audience to his 4th Sonata de Quattro. These sonatas are thought to be the earliest known works for string quartet, written between 1715 and 1725, and demonstrate Scarlatti’s mastery of instrumental composition. Also featured will be Donizetti’s String Quartet no. 5 in E minor. Although Donizetti is best known for his grand operas, he produced an abundance of chamber music including 18 string quartets. He wrote no. 5 between 1818 and 1819 at the young age of 21 while studying and the Bolognese Conservatory. Puccini, like Donizetti is famed for his operas and the majority of his work focused on this genre. He left behind only three short works for string quartet, but his skill in writing for strings cannot be missed in these. The concert will close with Puccini’s emotive Crisantemi, an elegy he wrote in memory of his friend Duke of Savoy who died in 1890. Puccini is said to have written the work in one night upon hearing the news of his friend’s death. The Galway Music Residency is delighted to announce that this concert, in celebration of Italy, will be introduced by Professor Paolo Bartoloni, head of Italian at NUI Galway. Professor Bartoloni will give a personal reflection of this great work before ConTempo take to the stage. Proudly supported by NUI Galway (Education Partner), the Arts Council, GMIT, and Galway City and County Councils, admission to this event is free, open to all and early arrival is recommended. From Europe with Love will take place on the first Tuesday of each month (September-June excepting January) until June 2021. For further information, visit www.thegalwaymusicresidency.ie.